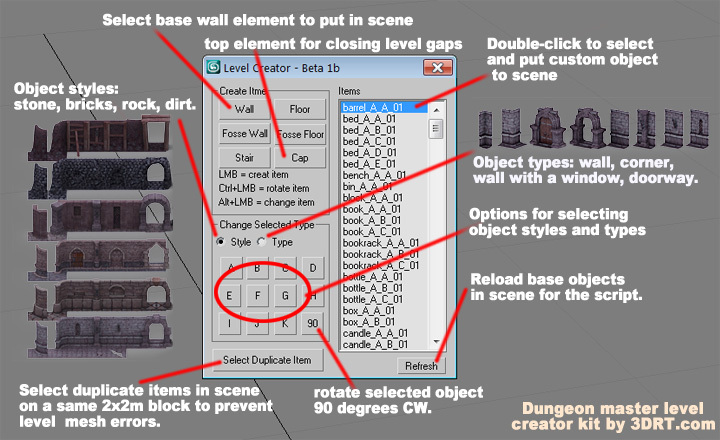 Level builder script for Gmax is supplied. Build your own levels without limitations. Below are instructions for the script.